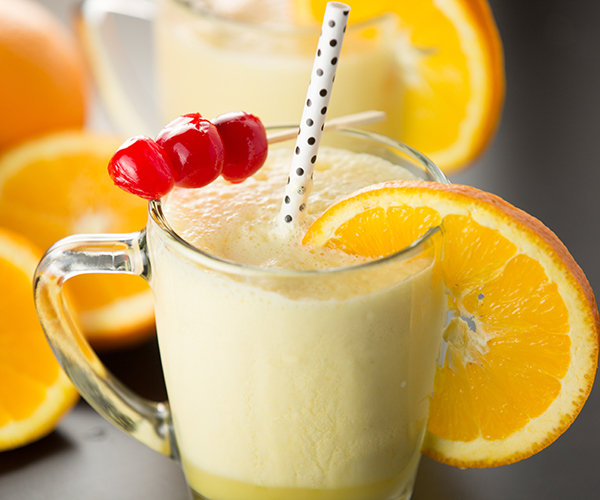 Make the classic Orange Julius right at home without a trip to Dairy Queen! 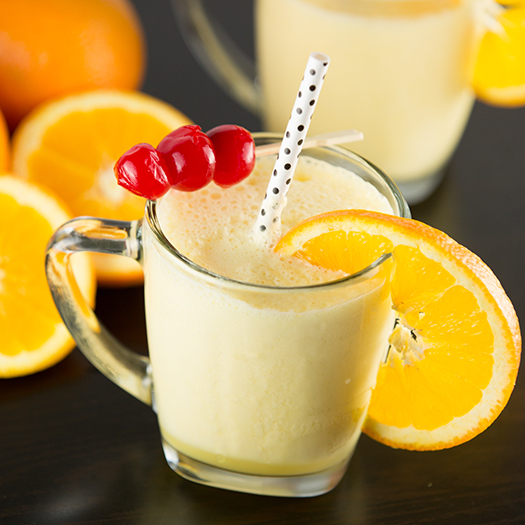 This Orange Julius is made with simple ingredients that you likely already have on hand. It’s frothy and refreshing! The Orange Julius from Dairy Queen is a classic that has been around for ages! What is it about the frothy combination of orange juice, milk, sugar, ice and vanilla that is so gosh darn good? If you have never had an Orange Julius before, you are missing out! If you love fruit smoothies, and you like orange juice, you are going to love an Orange Julius. 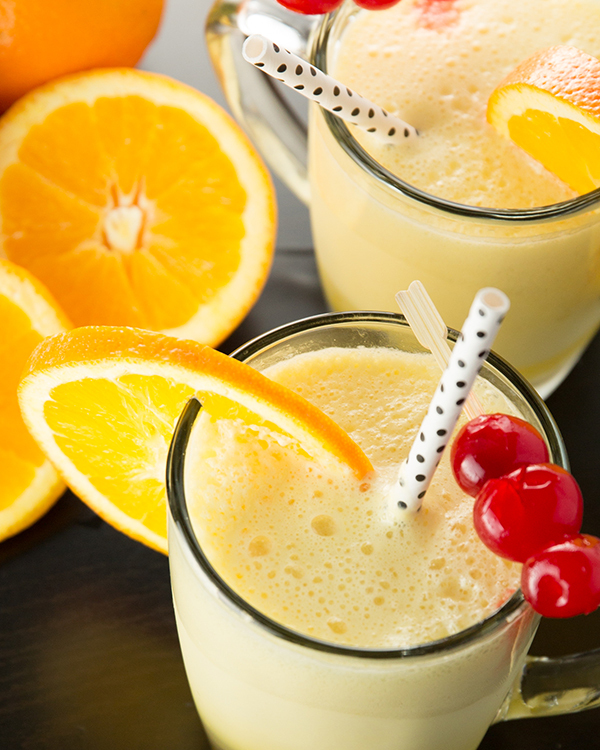 If you’ve got 5 minutes, you have enough time to whip up an Orange Julius. All you’ll need is a blender to blend together orange juice concentrate, a little milk, powdered sugar (I know, it sound weird, but it works), ice, and vanilla. While I don’t know exactly how DQ makes their Orange Julius, all I know is that this version tastes pretty darn close! I like to garnish an Orange Julius with thinly sliced orange slices and cherries. It makes a beautiful presentation whether you’re making these to entertain with or if you’re making them to enjoy any day of the week. Place all ingredients in your blender (I use a Vitamix) and blend until smooth and frothy! Enjoy!